See how you can easily generate a regular expression that matches a number between 42 and 2552 without dealing with the cryptic regex syntax. You can find this example in RegexMagic's help file under RegexMagic Examples|RegexMagic Patterns|Integer. Generate a more complex regular expression (3'44"): see how generating a more involved regular expression is still very easy with RegexMagic. This video shows how to generate a regex to match a version number such as v1.2.3.4444 where the "v" and the build number are optional. Develop software with regular expressions (2'15"): see how you can effortlessly write efficient software with RegexMagic's handy source code snippets. The video shows how to build a regular expression that matches multi-line comments as used in programming languages like Java and how to generate a source code snippet that uses this regex that you can readily paste into your application's source code. Tight integration with your favorite software (3'49"): see how RegexMagic conveniently integrates with PowerGREP, our top-of-the-line Windows grep tool. The video shows how to use RegexMagic to build a regular expression that matches numbers assigned to certain identifiers and to prepare a replacement string that will tell PowerGREP to increment those numbers. 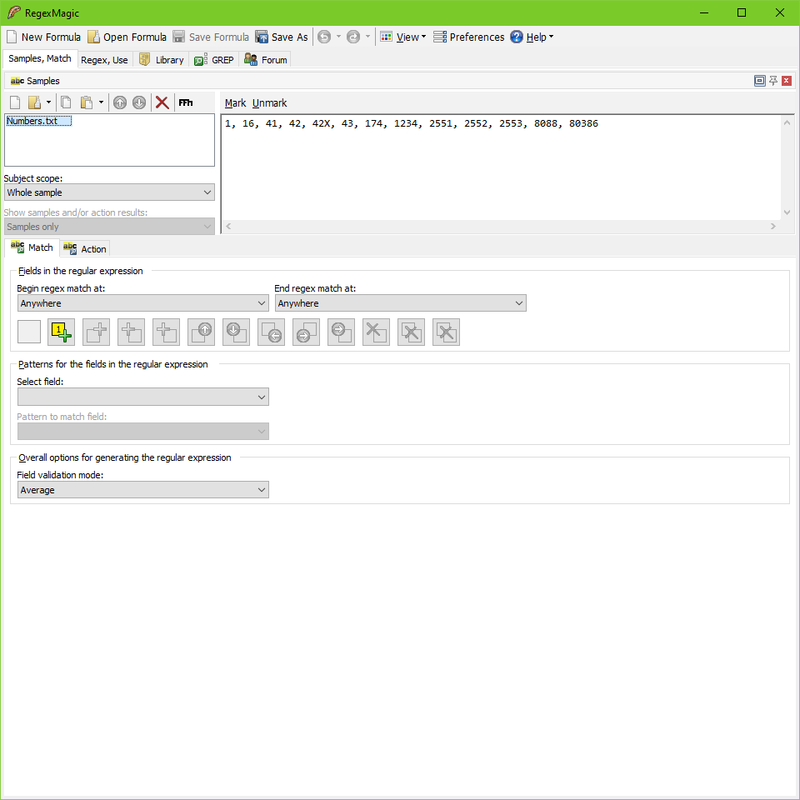 Programmers can tightly integrate RegexMagic with their applications. End users can add integration to applications that allow a command line to be provided to run other applications.